The limited-edition Easter Sampler is sure to please young and old alike. Something for everyone in this beautiful blue and white gift box hand tied with ivory ribbon. 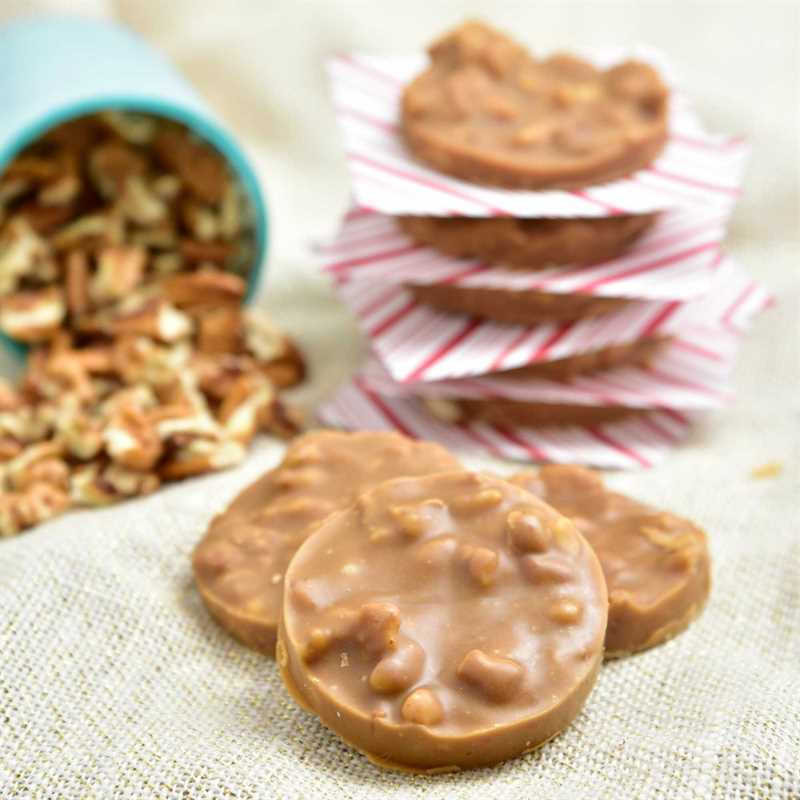 Enjoy Milk Chocolate Pecan Caramel Clusters, Simply Cinnamon Pecans and our latest creation, Lavender and Orange Pecans. Free shipping and limited quantity - purchase yours today! 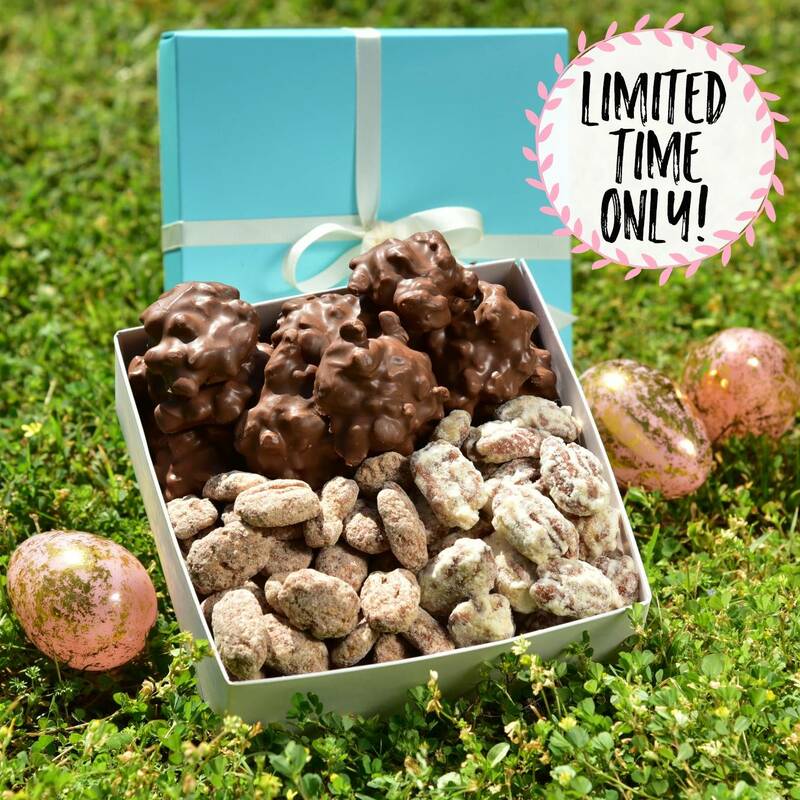 Our limited-edition Easter Sampler features another new creation from the Sunnyland kitchen. 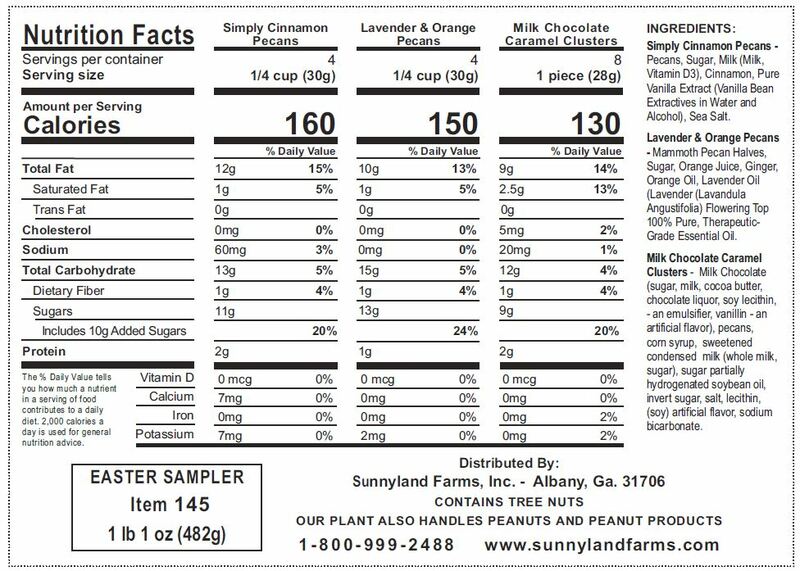 We are pleased to include Lavender and Orange Pecans, just in time for Easter and Spring celebrations. 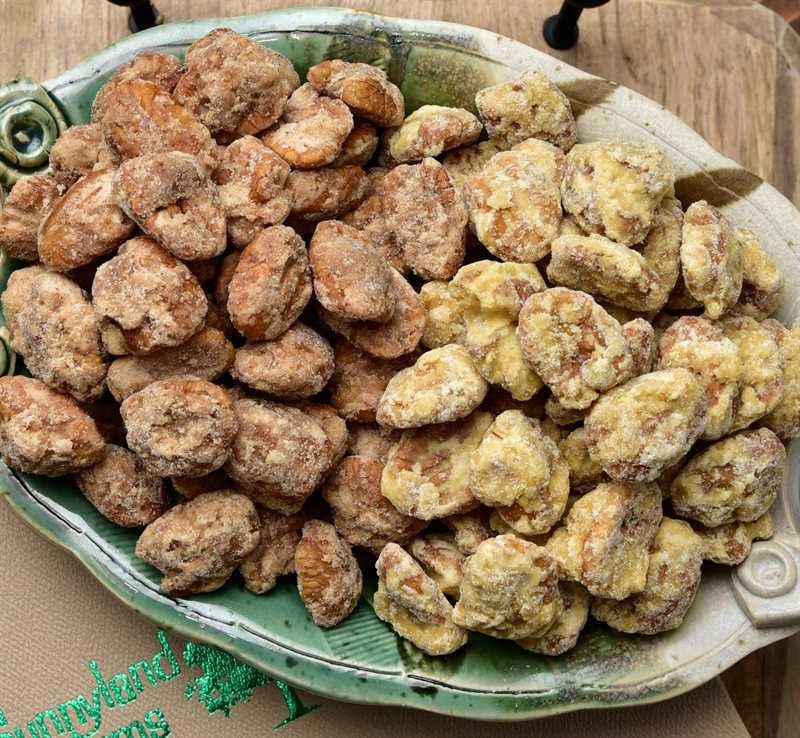 A simple recipe, we make them with our “Only the Best” pecan halves, sugar, orange juice, ground ginger and 100% pure Lavender and Orange Essential Oils. They are delicately delicious. 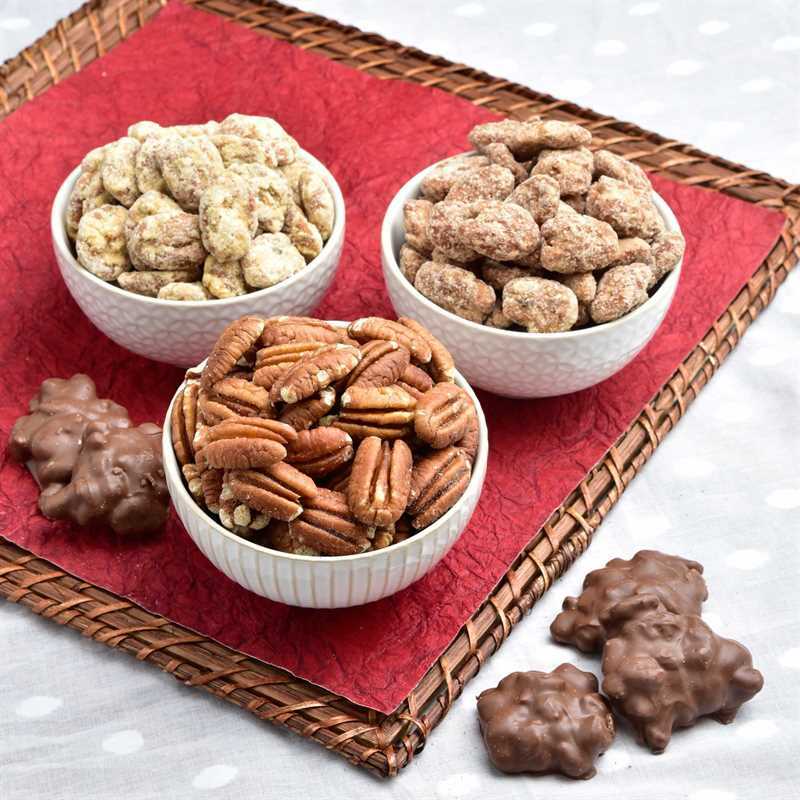 You also get our Simply Cinnamon Pecans introduced in February. And the candy that has been around for 70+ years, Milk Chocolate Pecan Caramel Clusters. Something special for everyone. For free standard shipping to the West Coast, order by April 11th. For the rest of the US, order by April 15th. The Easter Sampler Net wt 1 lb 1 oz.